It's been a couple days now and it's been a challenge, but we're getting by. My hubby certainly has come through for me in my time of need. He played plumber and put in a hand-held shower head and got me a shower chair and has been a great help in that area. He's also keeping me fed, even though my appetite isn't quite 'normal' yet. In a strange way, it's actually a blessing that he's not working right now because I don't know what I'd do without him right now. The pain has gotten much better in the past day or so and am going to try one pain pill every four to six hours instead of two, so hopefully I'll be a little more coherent now. 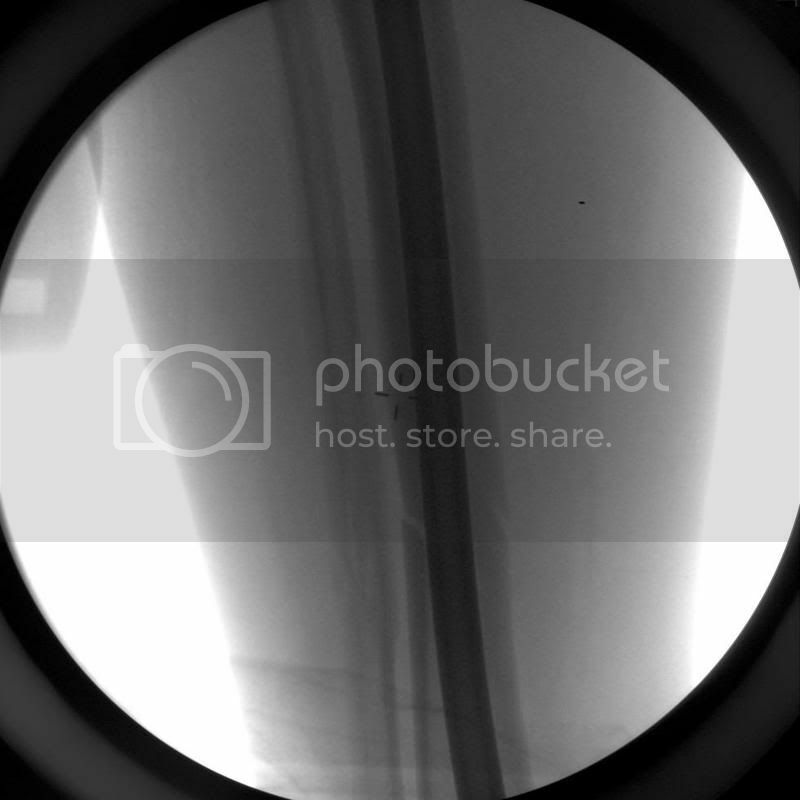 I have some x-ray photos to share, but I don't think I will post them directly in case anyone prefers not to look at them. 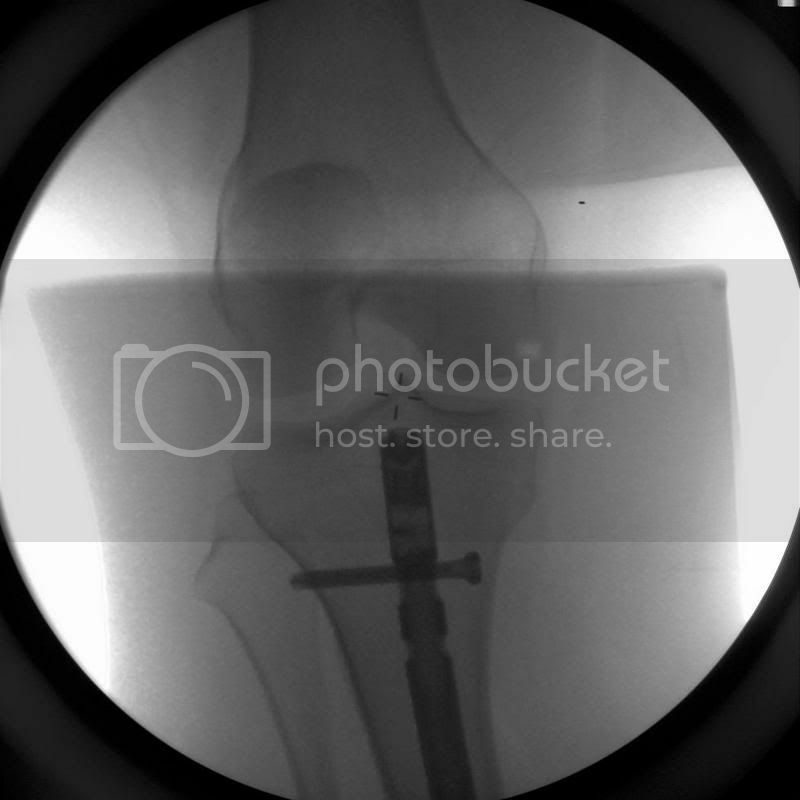 If you'd like to see the break before surgery, click here. 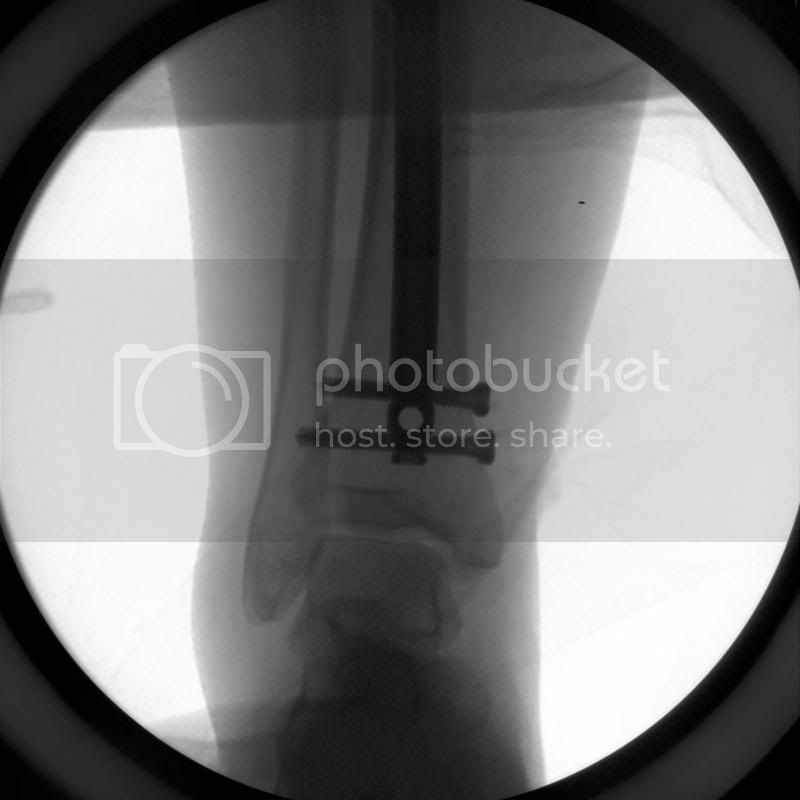 Here are the x-rays after surgery and it's in three pieces. 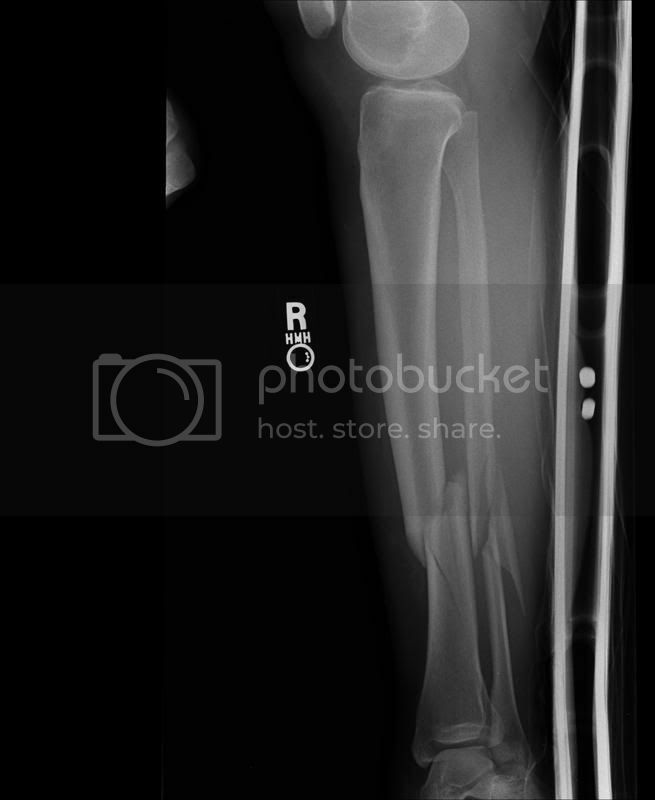 The first is the section just below my knee, the middle section is where the main break was and the bottom section is just above my ankle. Guess I won't have a quick pass through airport security anymore, huh! I hope to get back to some scrappy stuff tomorrow...stay tuned!